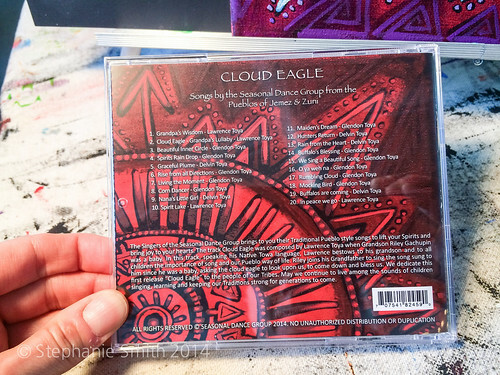 In October of 2014, I received a request and the subsequent honor of having my original painting "Seek" chosen to be the artwork for the historical recording of "Cloud Eagle" by the Seasonal Singers and Dance Group from the Pueblos of Jemez and Zuni. 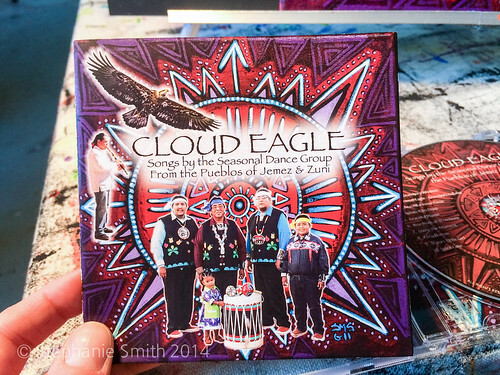 The Seasonal Dance Group dances their traditional Buffalo, Corn, Rainbow, and Eagle dances and "Cloud Eagle" is the very first album capturing these songs after 24 years of this group. 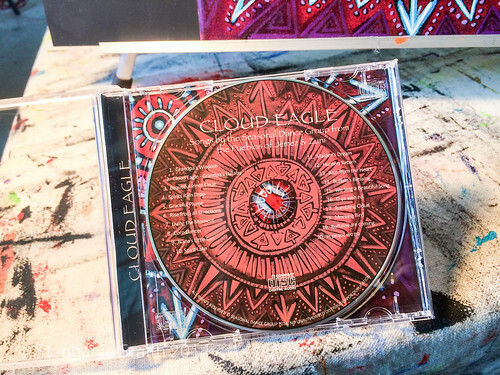 "Cloud Eagle" is also the very first recording in their tribal history. From group member Glendon Toya: "Our project is mainly to promote our culture through song and dance. Being that my family comes from the Tribes of Jemez and Zuni and us speaking the only languages of our kind in the whole world, we cannot sit back and let our culture and language fade away. 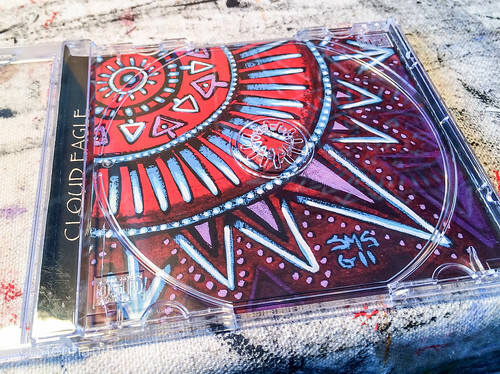 Many people in our tribes will benefit through this CD, it will bring happiness and knowledge into homes. 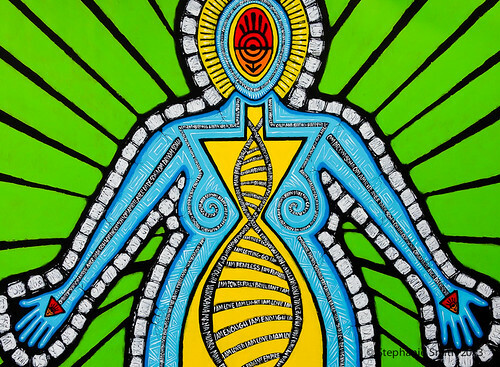 It will make people suffering from illness’s sit up and enjoy these songs. We strongly believe that the drum beat wakes up the spirit within us and we can be healed of depression, stress, etc. Imagine being in a place and you hear a drum at distance, your heart is going to hear and lead you to it. We see it all too much. 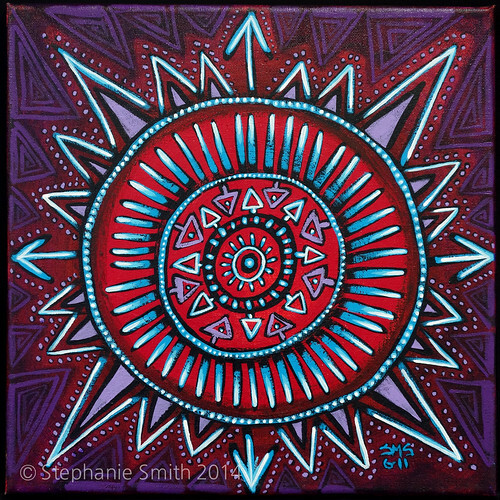 The Grandfather Drum as we call it is a healer." About the choice of this particular painting, Glendon said, "This to us represents the 4 directions of life also the 4 seasons. We can seek out to these 4 directions, but we will always be who we are and we will always be protected within." Of note, one of the songs from this recording, "Living in the Moment" was recently awarded a 2015 New Mexico Music Award. The Zuni Pueblo Seasonal Singers are: Lawrence Toya, Glendon Toya, Delvin Toya and Riley Gachupin. 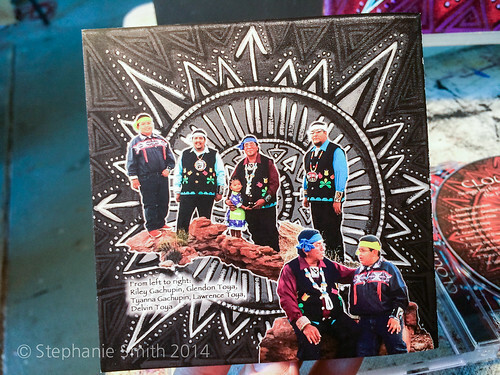 Please scroll down this post to see videos of the Seasonal Singers and Dance Group from the Pueblos of Jemez and Zuni.